I had already told them how much I loved and appreciated them. I wrote them. I hugged them. But I also wanted to speak to them in the language of love called baking: I love you. This is for you. I did something a little crazy recently. While baking cookies is almost never a crazy thing to do, I was preparing to speak at a big event that I was also producing so there was no time for such kitchen shenanigans. And, yet there was. There was time for love. I really wanted to make chocolate chip cookies so that my speakers and volunteers knew how much I loved and appreciated them. I know a lot of people who have never baked so stopping a big project to bake would sound insane to them. Others have admitted to being afraid of baking. They shake their heads violently when I ask if they want to learn to bake. They think baking looks too hard, too easy to completely screw up, and even impossible to do right. I’m here to say that if you can follow directions, baking is not as mysterious as it looks, and is far easier than it appears. Honestly, there are directions – and very rarely complicated ones (and you can avoid those) – and you just follow them. Buy this ingredient. Measure this. Put it here. Mix this. Add this. Turn on the oven. It’s seriously just a list of things to do and they are even listed in the perfect order. If you are a renegade and following directions makes you want to cringe, then OK, maybe baking isn’t for you. But, man oh man someone needs to take the mystery out of baking so that more people can dive into the joy of it. Why? Because there actually is a real magical mystery about baking that bears revealing. The real mystery about baking is that it is an act of love. As the baker, you think about the someone — or several someone’s — for whom you are making the creation from the moment you take out the first mixing bowl all the way to the final presentation: I love you. This is for you. That’s why I had to bake the cookies for the people helping with my event. I had already told them how much I loved and appreciated them. I wrote them. I hugged them. But I also wanted to speak to them in the language of love called baking: I love you. This is for you. People may not speak the same language of love. Baking may not get to them, but I trust what the book and movie Like Water for Chocolate portrays: that my baking is infused with the emotions I carry as I cook. I trust that whether they are conscious of it or not that my love permeates every egg I beat and every cup of sugar I measure. Every molecule of that cookie, cake or pie carries my message of love. My heart burst into a million happy pieces with those four words. No one had ever uttered that phrase to me, nor had I ever uttered it to another. I remember it being in the Righteous Brothers song Unchained Melody: “I need your love. God speed your love to me.” I loved the image it conjured in my brain, wishing God speed to the love traveling between two hearts, as if the most beautiful form of carrier pigeon could be instructed to carry love to another heart in need of that very dose of love. As with every great cooking or baking adventure, I believe the secret ingredient that no one can ever name is love. It’s why we can never make it just like grandma did. There is, of course, a very special secret and oh so mysterious baking ingredient called “grandma’s love.” I’m not a mom let alone a grandma, so that special ingredient eludes me, but we all have our own special love in our hearts that is our mysterious special baking ingredient. And, here’s one more secret if you are a baking newbie: love transcends stress. 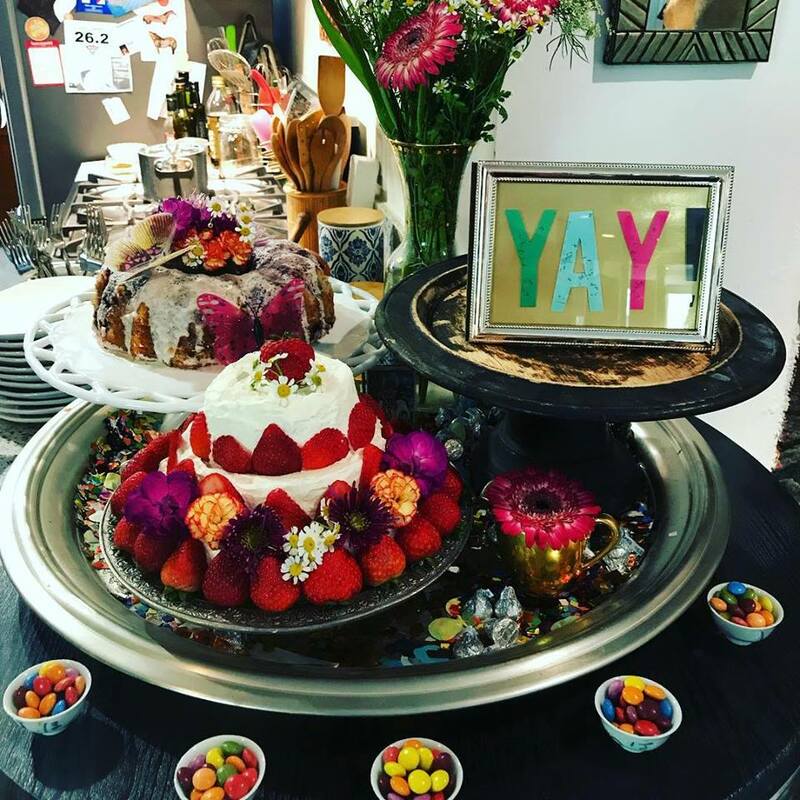 So, if you get a little stressed out in the kitchen – particularly if it’s your first baking adventure and you are cursing me for inspiring you and throwing things across the room– your loving intentions of creating something out of nothing, of infusing love into a homemade gift from your heart, will still come through! Trust that your love will reach its intended recipient. If it’s not baking that you want as your giving vehicle of choice this season, trust that however you choose to express your love, it will make it there. Your love is special and whether you are baking or not, it is a magical and delicious ingredient that you will pour into every gift you give. God speed your love this holiday season.